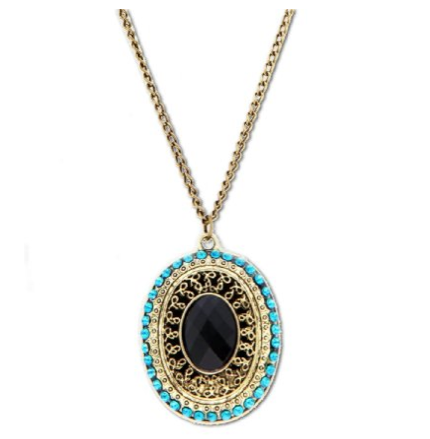 Vintage Bronze & Turquoise Necklace Only $1.83 + FREE Shipping! You are here: Home / Great Deals / Amazon Deals / Vintage Bronze & Turquoise Necklace Only $1.83 + FREE Shipping! If you love collecting vintage jewelry pieces and statement necklaces, then you have got to check out this gorgeous Vintage Bronze & Turquoise Necklace for only $1.83 + FREE Shipping right now! I love snagging pieces like these at these prices because they go with virtually every outfit and always get compliments!